I had to move my contacts from my old Nokia Phone into my new Apple iPhone. To do the same, there are a few methods I could use. 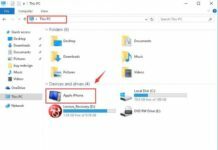 In this article I will share the two easy methods and with which you can transfer contacts from Nokia Phone to Apple iPhone. 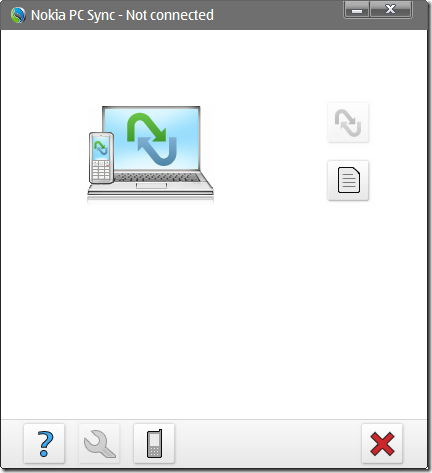 There are two methods one which involves copying from SIM, without using a computer, the other method involves using Nokia PC Suite, Microsoft Outlook and Apple iTunes Software. For geeks who keep all their phones synced and wan to do it in a sophisticated way, here is the method. You need to Install Nokia PC suite and connect your Nokia Phone to your computer using data cable / Bluetooth or wi-fi, whatever way it allows you. WOW! What a simple, highly useful tutorial! This is perhaps the most dreaded aspect of buying a new phone…but I’m glad for technology! Thanks for this great tip! I’ve done this as far as the MS OUtlook Express stage which was so simple! Am off to get my iPhone now and complete the process…. I have just got my iphone and looking to transfer contacts from my nokia. I haven’t tried it yet but this is really a useful info. i did a backup with the nokia suite – it got stuck with phone specific settings, don’t tick the last option before starting it -, windows address book could be a master copy. Thanks for the help worked a treat simple when you know how. There is an alternative way to copy your contacts across from your Nokia to your iPhone. Big help, just done it thank you ! Hi there just seen your post. Will the second method using MS Outlook work with Sony Ericsson phone awell as Nokia? Kindly advise how to transfer selected contacts from the Outlook to iphone or how to create groups in Outlook? I used the method not involved computer successfully. The alternative method worked perfect! Do you have a easy way to copy calendar too? I got a new iPhone, a MAC and an old Nokia E51. You smashed it my friend! Best & easiest tutorial out there for transferring contacts from Nokia to iPhone. Keep up the good work! thanks for the guide, worked straight away. So is it possible to copy 686 number to a sim card ? It may not be possible to copy so many contacts. In such case, if the capacity of your SIM card is 250, you need to copy 250 to new phone, then delete them from SIM and then copy next 250 and this way you can copy them turn by turn. Be very careful during this, don’t delete from all places at once else you will loose all contacts. A safer approach for you would be to take a backup on computer or transfer via outlook sync. You are a life saver, need the contacts for job!! Good advise but no good for me. I have an old Nokia which does not connect to the computer, and my iPhone will not accept my old sim card with my contacts so I cant import them via the settings. This is some good stuff there, thanks a lot! Your explanation was indeed very helpful. Thank you! Thanks very much. I tried the first method with sim card. it transfered 180, but I dont know how to erase the 180 from the sim card so I can add more. Any ideas. There just wasnt any lead into how to erase the contects of the sim card. I also tried the second method with computer. I did what you said but it did not seem to work forme. what am I doing wrong? 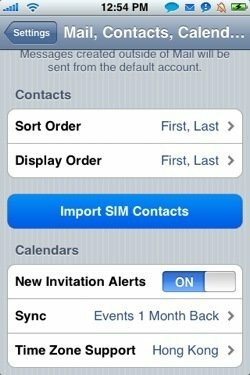 I ticked the “Sync contacts with Outlook” but when I checked my iphone it did not do anything. Any ideas? that took me forever to find a decent webpage to do this! Thanks so so much for such simple instructions! quite straightfoward guide. I’ve completed it to the MS outlook stage, can’t wait to get my iphone4 on tuesday. Didnt work……..sync with Nokia was fine……….transfer to Iphone doesnt work!! Great help! It saved so much time & frustration of manual copy. Thanks a lot. thank you so much. I wasted about a day to do this before i got to know about the right way of doing it. Internet, especially Google makes life so simple and easy…. have a problem and not getting a solution or fix, ‘GOOGLE IT DUDE’. it worked…………….. thanks a lot …………. your images speaks everything..
wow.. that was tooo simple.. wonder why i wasted a day trying to do it, than looking at the right place…. Fantastic – thanks a lot it saved me so much time. no need to manually input them. Hi guys……….this is fantastic even for a non techno like myself……..saved me loads of time, lucky I was given(from where I bought the phone) a small adapter for the small iphone sim to sit into, this enabled me to use it has an adpter to put into my nokia. Thanks so much for the help, but my problem is that I am a complete technophobe and don’t understand how to do syncing etc with the pc. So, I wanted to go with the easy transfer using the sim cards only. Problem is my iphone4 has a microsim and the nokia has an ordinary sim, I have no adaptors or anything. Can anyone advise? is there a way of transferring contacts via bluetooth or any other way? the i-phone takes a micro sim, whereas my nokia takes the larger sim… how do i transfer with the use of the computer?? Excellent! Simple, straightforward – even someone over 20 could do it!! My colleagues opted for the ‘type them all in again by hand’ approach, however this was far less painful! Does it works with windows contact? iSuckers need to know that the exercise would take 2min with an android windows or symbian phone… microsim, what else is next for the lemon??? *Problem* I have a back up on Nokia OVI Suite of my old N95 (which I don’t have anymore) i tried to sync the contacts from the back up to MS Outlook, not working. What do i do? hi i have nkoia e71, mac and iphone. when i use isync to do contact transfer my contacts get saved to Äll contacts”folder in the Address Book on Mac inspite of me selecting the subfolder in Address Book. What am I missing? WOW! Its really great and really Help Me!!! I HAVE AMENDED THIS EARLIER POST FOR BLUETOOTH USERS! very simple , i completed this process within no time . Thanks for the info !! It didnt work after syncing Nokia contacts with Outlook Express even though all contacts could be seen! I did it again syncing Nokia with Outlook and it worked a treat. Its working fine… thanks a lot……….. Thank you for the info – I have one problem though, our pc department doesn’t install outlook and related to our windows 7 pcs – any ideas of other programs that would do the trick? worked like a charm (sim to sim)! and this is after reading in ‘n’ places that this is not possible.. Thank you! You made me handy solving. 6th. 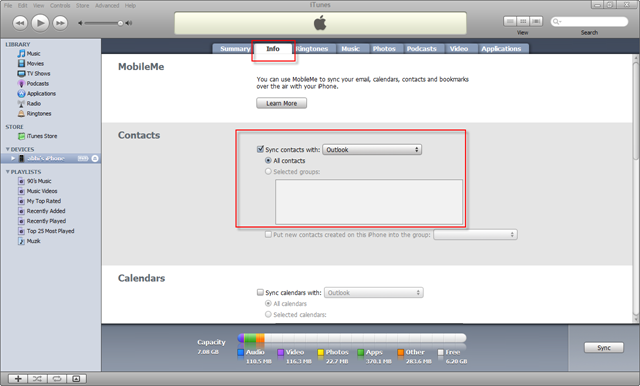 then check the box beside SYNC CONTACTS WITH, and apply the changes. Thanks for the assistance Abishek. Very Helpful indeed. now it wont let me save all contacts at the same time, they’d opened one by one.. and i have 420 contacts to move – should i save them one at a time?! You can save them all to Microsoft outlook. Better use Nokia PC Suite to sync it. Then you can sync iTunes with Outlook and the contacts will be transferred to iPhone. I’d been trying a number of the methods and the one that worked the simplest for me was Johwyn’s. Many thanks to you all for your time as this thread solved my problem. how to transfer sms masseges from nokia 5800 to Iphone 3g.. ??? thanks man. that really helps. i should have read your article before spending couple of hours connecting my contacts using bluetooth. I’m trying to get my contacts from a Nokia phone to an iPhone4, via the Mac, and I can’t get any of the suggested methods to work. 1) My old Nokia is not compatible with iSync, and apparently Nokia PC Suite is not compatible with the Mac (?). 2) When connecting the Nokia to the Mac via usb or Bluethooth, the Contacts folder does not appear anywhere -so I’m not able to copy them directly (this seems to be the most intuitive method, though). Well I face a problem and I would like someone to advice me, I have more then 50% of my contacts 2 & 3 mobile number sometimes 4 mobile number for 1 contact in my Nokia E90 and when I transfer them to outlook and later i-Phone 4 I find out that these contacts have 1 mobile number and some other have no number, I was surprise because i have more than 2025 contacts!!!! Finaly, I need some advice from you brothers to help me and show me the good way to Sync my contacts and contact numbers. 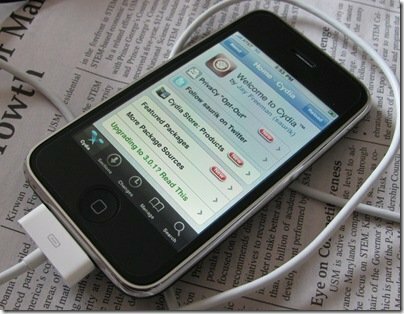 You could do this, now I can use my iPhone completely.. Very simple and straight forward – Champion! Thank you so much. My story may help some of you I, have been carrying around my old nokia and manually adding numbers one by one as the need arose or when people called me. I had obtained an adaptor (available from O2 and probably most other phone shops) inserted the microsim into it and then into my nokia and transferred the contacts to the new microsim put the sim into my new iPhone 4 and………. nothing, no contacts at all, back in the nokia to check and they are there. I assumed the iphone and nokia contacts were not compatible. Then 3 weeks later I read this post and hey presto. I did end up with duplicate entries or every contact with two numbers but just copied and pasted the second numbers into the prime entry and deleted all others, Great for phone numbers but has not resolved addresses But thanks again I now have all my contacts to hand Brilliant. That’s great Johwyn, Had spent 3 hrs trying with 3 and they couldn’t do it. Now, I need to get my calendar and notes over? Any ideas of how to do this anyone? I have loads of Notes and calendar items. Hate the thought of re-entering calendar. I was about to give up and start a manual transfer of my contacts on the new iphone 4, when I bumped into this. Greatly helpful and easy as it seems! Thanks a lot. By the way, I blame apple for forcing its customers – and I’ve been one for the last 5 years – to upgrade to a new OS just to activate the iphone. Luckily enough, I’ve got 2 laptops, one mounting Windows XP and I could get around that..
you are on fire bro……………i was searching for this since last night and here it is the most easiest way to transfer contacts..
know if you could please let me know if there is any way to transfer messages from Nokia phone to iPhone………………….i am waiting….any body????? Great sir thnx of lot ! One the most easiest to understand way to import contact data to iphone. Kudos! The Best review so far! I was stuck for an hour and i need my contacts as im a 33 year old business man and was completely delighted to read this post as it helped me to get all of my contacts form my nokia n900 to the iphone 4. Keep up the good work. Thanks. First thank you for your information. may I have all information for each contact again in iphone ? Superb, got me through the process easily – many thanks. This tutorial is great but for some strange reason the pc suite to itunes transfer did not work for me. I follow the whole process and it seems to work fine up until the end in the syncing process – it just doesn’t transfer the contacts from MS outlook to my iPhone. When I look in outlook all the contacts are there, but after I’ve synced, there are no contacts on my iPhone. My outlook is a little old (2000), could this be the reason it does not work with itunes? exactly how any procedure should be! I tried sync Nokia E71 to Outlook and then outlook to iPhone 3gs. But all details of my contacts did not get transferred. i.e. I had many mobile numbers, many work numbers stored in the same name but only 1 mobile and 1 work numbers got transferred. How should I get complete details transferred. I tried to sync with windows address book to iphone4. It didn’t worked.. Any help appreciated. Fantastic tips – worked almost perfectly. My old sim and new sim are different sizes so had to wiggle the sim around to get the Nokia to register the iphone sim, but one it did, it all went very smoothly. Thanks mate, I did a mistake as i registered my Outlook with my hotmail account and then synced the Nokia contacts to MS Outlook contacts. When syncing was done.. I ended up having both homail contacts and Nokia contacts in my iphone. I guess i have to remove my hotmail account from MS Outlook and sync Nokia contacts to Outlook once again. Then Sync it to my Iphone. I have a Nokia E71 model of which I had already previously backed up my contacts on to PC Suite before getting my new iPhone4. I have already successfully transferred all my contacts onto my iPhone using PC Suite/Outlook and Itunes sync. the whole process was simple & sweet. you made it look like a child’s play… thxs a lot. Regarding transfer of contacts from nokia (6700 classic) to iPhone 4. I had problems using Windows contacts and Windows Based mail. The Windows Contacts imported the CSV file as one contact not a list of contacts. Step 4;- import the CSV file. Step 5;- Open iTunes and set the Contacts to Sync with Google Contacts, select group if required. Step 6;- make tea. Job done. it worked. simple! thank you! As a Vista PC user, I have no Outlook installed in my PC. Therefore I’ve been struggling to transfer my contacts from NokiaE71 to iPhone using Windows Mail, Nokia PC Suite and iTunes instead of Outlook , Nokia PC Suite and iTunes as instructed. I could only transfer my email contacts from Windows Mail to the iPhone. Phone contacts I have to use SIM copy method but could only copy the first 250 contacts. I tried to delete the first 250 contacts in SIM and copy the remaining 250 lots to SIM but it is very difficult and time consuming. So I come back to this site reading your guy comments to find out if it is any other alternative. Thanks to Johwyn’s instruction how to use Google Mail , Nokia PC Suite and iTunes I could transfer my all contacts to my iPhone finally !!! 6. The rest is simple as I just allow the Sync process to continue for any mismatch contact info. questions. Some useful information here but bear in mind most of the older SIM’s from Nokias do NOT fit into an I-phone therefore the “geek” method is actually the only available one for many people. Huge help, saved me lots of work. Thanks a bunch!! Was reeeeaaaaaaaaaaaaaallly helpful,thanx a lot…….. I have only Outlook Express and I managed to transfer my contacts but I want my messages, photos, notes, active notes and mainly calendar to move along. Any suggestions on how to do so? It worked!!! Thanks so much you saved me from hell of trouble….simple & effective tip.. THANKS A LOT FOR YOUR COMMENTS. IT WAS SO USEFUL. Thanks a lot dude… you rock! Worked for me, many thanks for your appreciated help! Thank u sooooooooo much.. great work.. keep it up. gud luck.. Thanks – it was a great help! Thanks for sharing this information, this was really very helpful for me. When you transfer from Nokia x3 to iPhone, do ALL the fields from the contact list transfer ? What about the thumbnail pictures of my contacts ? Will those transfer too ? The problem of michel n some others about multiple numbers n other info in a single contact is a big problem to transfer. If any can tell a step step by way to contact all information about contacts from any nokia phone as like Nokia N900 which uses Maemo OS will be appreciable. Yeah. Thanks a lot . That is a fastest way to import contacts ever! I just want to share that for older Nokia phones like mine, I purchased a Micro Sim Card adapter and was able to use the iphone sim card in the nokia to copy contacts. Search on ebay or various other websites to buy the adapter as phone companies don’t sell them. Worked just fine, saved lots of time. tyvm! Hello, thanks for this excellent guide. I would just like to point out a software for mobile phones management called MOBILedit!, which is among other things able to browse, edit, copy, backup and migrate data within connected mobile phones. It is no problem for MOBILedit, for example, to copy messages, contacts and other data from iPhone to Android or backwards, which basically covers all the steps described in this guide. Thank you very much, it saved my precious time and upgraded my knowledge. It was very helpful. foolishly i was relying on the o2 website instructions as to how to do this. more fool me. they couldn’t organise a pish up in a brewery. your fix just about saved my marriage. If you guys are ever thinking of doing the first method, then don’t. The SIM cards are of different sizes, the new SIM will not fit in your old phone. I don’t even know what this guy did in order to get it to fit in his old phone. Well, anyway, the transfer via computer method works. Thank you for this guide, saved my life and 600+ contacts!!! many thanks for this tip..
thank you used the with computer instructions and it was so easy. Couldn’t do it with the sim card because my old phone was locked and when I used a very old one the sim card was different. Anyway this way was easy so thank you. Hi there! appreciate your response but Iphone uses a micro sim whereas the Nokia has a normal sim. How wld a micro sim fit in the nokia phone? this info was really helpful to me. thnx. it really helped me to solve this problem. Thanks for this tip. Really useful with not just instructions but also screen grabs. I followed the instructions for moving contacts from my nokia E71 (Still going perfectly strong) onto my new iPhone 4S (lets see how good they are). I synced up from Nokia to Windows Mail (on Vista still). When I opened iTunes and wanted to sync across as per your instructions. I was told that with the new iCloud I didnt need to do it via iTunes anymore. But since I was connected to iTunes I let the contacts move through the cable anyway. But just interesting to note how iCloud allows over the air sync. Wow, really this is one of the best tutorials I have ever found in Internet. Thank you very much. It is helpful. Thanks mate. It was helpful. Thanks ! ! ! Its really useful and I had successfully transferred contacts via this method. . . Thank you so much, I used this method its ok . Thanks so much ABHISHEK! I was able to easily transfer my contacts. But there is one problem: the contacts copied in the Outlook and iPhone are not having full details such as multiple entries in a single contact are not copied. If any one can tell a step step by way to transfer all information including multiple phone numbers in each Contact from Nokia suite to Outlook and then on to the iPhone would be very helpful. how can i transfer using the SIM method if iphone4 is microSIM and nokia is the normal SIM? your procedure saved me a lot of time. Thanks …. saved me lots of time really straight forward instructions! I’ve found an app in the App Store which has copied 300+ contacts from my Nokia E72 to my new iPhone 4S pretty easily. I had to download a Java applet to the E72 which has uploaded the contacts to the “cloud” (no registration or stuff like that; I hate those) and has given me an access code. After that I had to enter the code in the iPhone app and then my contacts appeared on the iPhone in seconds. It isn’t perfect though, because it copies only two phone numbers per contact, so I’ve lost some details during the transfer, but still it has saved me quite some headache. The app is called “ConCopy”. Thank you very much, you saved my week , I bought I Phone nearly week ago and I didn’t activate because I didn’t transfer my contact and even o2 didn’t helped me. Thanks alot for that. thought I was going to have to type them all in. I went to the local Telstra store to ask for their assistance because I discovered that the SIM cards in my old Nokia and my new iPhone were different sizes. They mucked around for about 30 minutes and then said they couldn’t do it. I went home and Googled and found your article which was posted in 2009. It is now March 2012 and I have just followed your steps and it worked a treat. I can’t thank you enough for your great article. Thanks heaps. Thanks for the article. Helped me a lot. Much appreciated. I chose the Nokia PC suite and Outlook approach and this proved very handy as I had 200+ contacts and didn’t fancy re-keying, especially as most had more than one phone number. my problem is that I have around 2000 contcts on my nokia phone. and to copy all of dem i need to do it by 250 contacts at a tym. its a troublesome work. Never been easier, thanks for your explanations. Hi I’m trying to use the ‘non computer’ method. 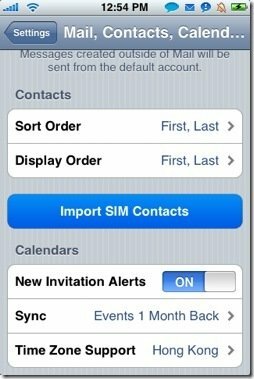 Copied all contacts to sim successfully but when I put the sim in and followed instructions – Settings > Mail,Contacts,Calendar > Import SIM Contacts on my iPhone it only comes up with two options for importing 1) From My PC and 2)From Hotmail. So now I have all my email contacts but still mobile numbers because there is no option for this. Please help. Dont think the compuer method will work as my Nokia is an old school non android phone and I dont have a cable or blue tooth. Used goddamn Nokia Suite to import contacts to outlook, couldn’t make it and encountered weird problems such as “you have to reinstall ms outlook” whatever. so I imported them to windows contacts, then dragged and dropped into outlook contacts. now i will use itunes to import ’em to iphone. damn you nokia! now i have to reinstall all the stuff i installed just to import my 500 contacts. Useful info. thanks for detailed instructions. Iam yet to try it. Hoping that MS outlook in this case could also be substituted for Lotus notes 8.5. I have already transferred my Nokia contacts to my PC. Now I have the contact entries in my Windows Contacts. 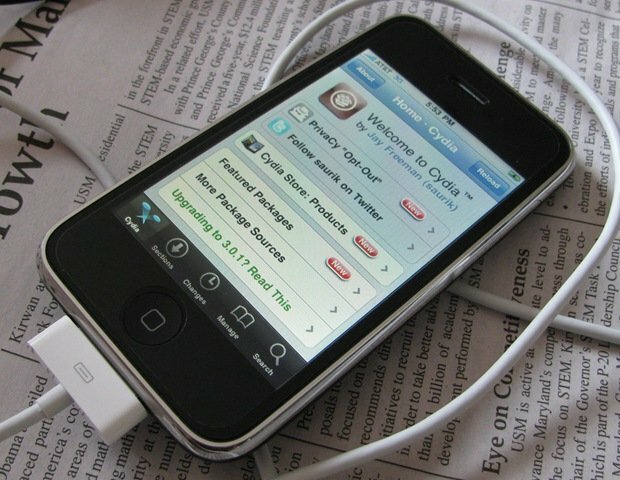 Is there a way to bypass iTunes and transfer the contacts to my iPhone directly? Thanks for your input! Thanks Very Much..Simple and sweet! Thank you very much – you are one for my favourites me thinks!! Thanks man! simple and quick! I have been trying to transfer my Nokia contacts to my I phone using manuals for the last 2 weeks without success. The IPhone Geek Squad wanted to charge me £14.00 for them to do it for me. Your instructions were easy to follow and you have saved me £14.00. i’ve tried the 2nd option by computer to transfer all my contacts but failed. itunes cant recognise my iphone 4s. what should i do? pls help. thank you this worked perfectly..
Great article..!!! Thanks! For your Valuable information! keep sharing. Nice your Blog. On the other hand, if you need any sort of assistance on the Malwarebytes software, make sure to call our experts on Malwarebytes Customer Care Number. i think it is helpful for those who get a lucky draw or working hard. great informative stuff , definately gonna use that. good job.